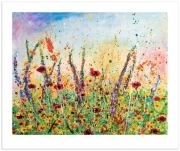 Ruth’s art forms reflect her passion for the landscape and nature, capturing and reflecting her on going fascination and love of colour, energy and movement. Ruth paints large, colourful and energetic mixed media paintings, presently focusing on nature and landscape. Ruth paints with a fusion of energy and passion, often spontaneous but always inspired by the world around her. 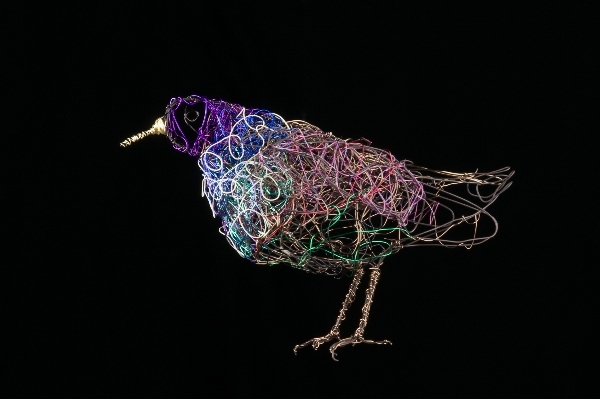 Alongside her growing reputation within the painting scene, Ruth has become well established and known for her wire and mixed media sculptures, where wire is used to transform a drawn line into energetic three dimensional sculpture. 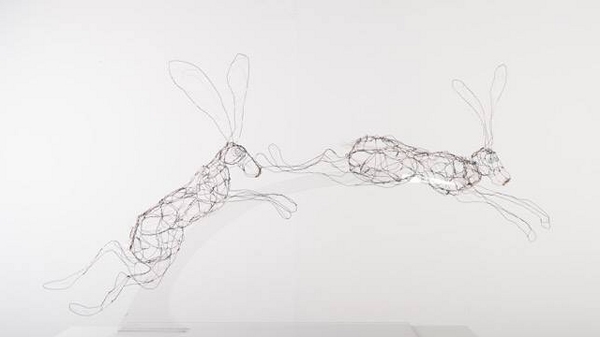 The majority of Ruth’s wire sculptures concentrate on her love of the Hare and birdlife. Various Wire workshops will be running during art trek. Various Wire workshops will be running during art trek. Directions: Situated approximately 3/4mile down Hannaford Lane (a 10/15min walk), the start of the lane is just 100meters from the bus stop in Swimbridge Village. Weekday Open Dates & Times: Open Tuesdays – other times maybe open but please ring for times outside the ones stated. Come and enjoy meeting Ruth and seeing her working in her studio, where a captivating view is a source of ongoing inspiration for all her artistic talents. Ruth not only paints large and expressive landscapes and florals, but is perhaps more widely known for her unique and beautifully crafted wire sculptures, as well as her statement piece jewellery. There will be all sorts to see as well a chance to purchase cards, prints and maybe an original! Ruth is also offering workshops throughout art trek where you can have a go making a simple wire/mixed media creation (see website/brochure – booking and cost involved) . Find out about Ruth and the life of an artist…whilst sipping a cup of tea and munching on a biscuit! She very much looks forward to meeting you all!